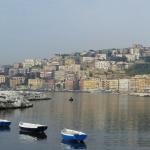 Transfers to/from Naples, Sorrento Coast, Amalfi Coast, Rome, Florence and much more. Take advantages of our round-trip transfers! Special deals for multiple bookings. As you can see through our transfers services, you can reach, either individually or in groups – airports, hotels, railway stations. Our transfer services operate throughout the year, 24 hours a day with comfortable and elegant vehicles (cars, minivans, minibuses or buses).